Traditionally 3D models have been made from data describing information on a regular grid, like the grid of pixels on a monitor. But it's not always possible to capture what's happening in reality so tidily. Erald Vuçini at Vienna University of Technology and colleagues have developed mathematical tools that work out the best way to display data not captured on a regular framework. 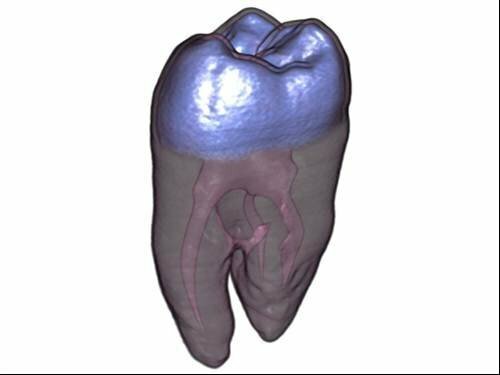 This tooth was created using a conventional, neat data set and is extremely clear. Click through to the next image to see what happens if the data isn't so neat. The recent Eurovis Symposium, held in Berlin, brought together international researchers with new ideas about how to make data easier to interpret and act on.